November is Eureka Springs is full of family fun activities and things to do. Here are a few ideas to make the most of your Eureka Springs vacation. Take a Tour. Learn about Eureka Springs with the Hell Raisers, Hoodlum and Heated History Tour. See where Wild West icon Bill Doolin of the Doolin Gang was captured; visit an authentic Civil War Cave and more. Discover why the Crescent Hotel is known as America’s Most Haunted Hotel on one of their nightly Crescent Hotel Ghost Tours (tickets sell out fast and online ghost tour tickets purchased in advance are recommended especially during the weekend). Discover some of the most picturesque parts of Eureka Springs with a Trolley tour through the historic loop and downtown. While you are exploring downtown Eureka Springs, stop in for an Old time photo. It is a great way to remember your family vacation in Eureka Springs. Watch for Wildlife. November is just about the best time to view wildlife around Eureka Springs. See Eagle soar over Beaver Lake with a ride on the Belle of the Ozarks or an Eagle Watching tour through Hobbs State Park. Take a scenic drive from Eureka Springs to the Buffalo National River to see elk grazing in Boxley Valley. You may even catch a glimpse of Trumpeter Swans swimming in the valley ponds. Of course you don’t have to travel very far to see lions, tigers and bears. Visit Turpentine Creek Wildlife Refuge and get up close and personal with the big cats. Get into the Holiday Spirit. November 30th kicks off Christmas in Eureka Springs with the famous Eureka Springs Christmas Parade. Watch the Holiday come alive with shopping events like Eureka Springs Downtown Living Windows and Christmas at the Crescent. 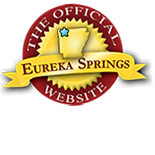 Learn more about events in November and visit the Official Eureka Springs Calendar of Events. Plan to spend your holiday in Eureka Springs. For more to do in Eureka Springs…See 8 Great Things to See and Do in Winter. 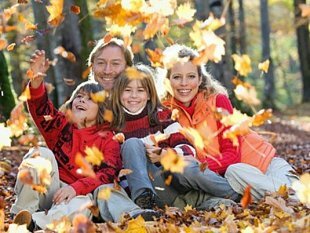 Find great vacation deals on Eureka Springs lodging and plan your family vacation to Eureka Springs. Stay in a Eureka Springs cabin, Eureka Springs cottage or one of Eureka Springs award winning Bed and Breakfasts. Shop- Explore Downtown Eureka Springs. Play- Visit Eureka Springs Attractions and nearby hot spots. This entry was posted on November 6, 2012 by estcblog in Crescent Hotel, Ghosts, History, Road trips, The Great Outdoors, Things to Do.